Richard Weatherman is truly the definition of a man of all trades and seasons. Harnessed with his unbridled passion and energy for helping others, Richard has been the visionary and leader of AdvantagePlusCaregivers.com® and Advantage Plus Franchisor, Inc. From the founding in 2006 (dba Advantage Plus Agency, Inc.) and evolution into becoming a franchisor and leader in the private duty in home care sector. Richard has been at the forefront of taking traditional in home care services to higher standards with a technical and operationally efficient business model. Richard’s industry savvy and eye for attracting those of the same spirit in driving and focusing on business success has helped create an outstanding executive management team in every area including Operations, IT, Sales Marketing and Support. 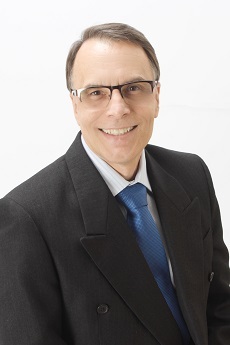 While first starting operations in Canoga Park, CA with Advantage Plus Agency followed by Advantage Plus Medical Supplies in 2010 Richard has driven the initial single office into 4 more offices in California, Nevada and Washington. Richard has authored the "Elder Home Care Guide" to inform and prepare those in need of assistance in caring for loved ones at home. In the same spirit Richard founded the 501©3 public charity "FoundationforSeniorServices.org" that operates as a centralized senior service organization that is designed to help many seniors in finding the resources, tools and support for senior care. A second chapter of the Senior Specialist Group (a component of the foundation) is under way in Las Vegas, NV due to strength and the support Richard has garnered for the charter organization in Canoga Park, CA. Richard, with the support of his wife Cindy Park-Weatherman, give much of their personal time and assets for the benefit of others that could not otherwise do so. This is done in the essence of other great individuals and couples where money and wealth is not the only definition of success. Richard is truly "All about the Care".